Murph was born a flavor lover. A spice connoisseur from an early age, Murph grew up entranced by the different effects that could be created by mixing and adding to regular foods. One day, Murph was sipping on yet another bland, flavorless Bloody Mary by a forgettable brand when a eureka moment struck. He would use his knowledge of the flavor combinations to make the ultimate cocktail mix. He would create a beverage so delicious and memorable that people would be asking for it by name. He would put out a drink that would be flavorful enough to drink with or without vodka, a taste so unique that it was only right to have been created by a man as individual as himself. 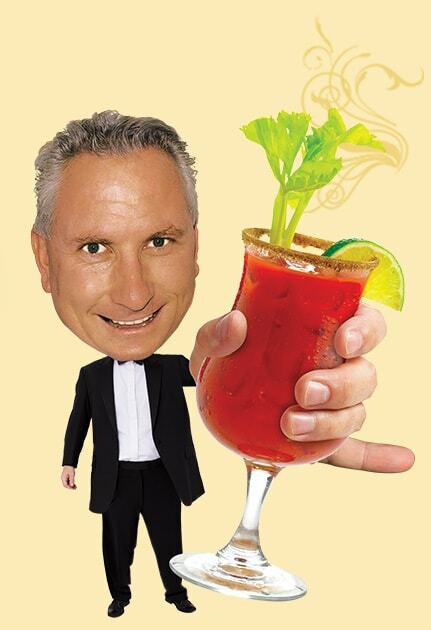 And he would call it… The Murph’s Famous Bloody Mary Mix. From a kitchen table in Long Island, to bars and supermarkets all over America, touted by Kathie Lee and Hoda on the Today show as one of the best Bloody Mary mixes they had ever tried, The Murph’s Famous is taking over. With a taste that is as large and full of life as its creator, The Murph’s Famous Bloody Mary mix will have you converted. One Sip, One Believer!